Fur belongs on pets, not around your home – when you have the SlimVac Pet on your side, you can keep your upholstery and carpets free from pet hair. 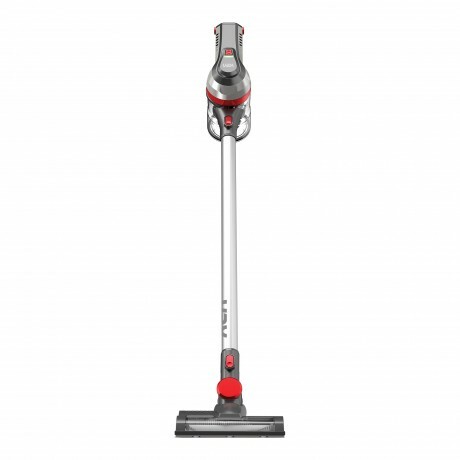 The Cordless SlimVac Vacuum Cleaner boasts a detachable handheld for tackling hard to reach areas with ease. 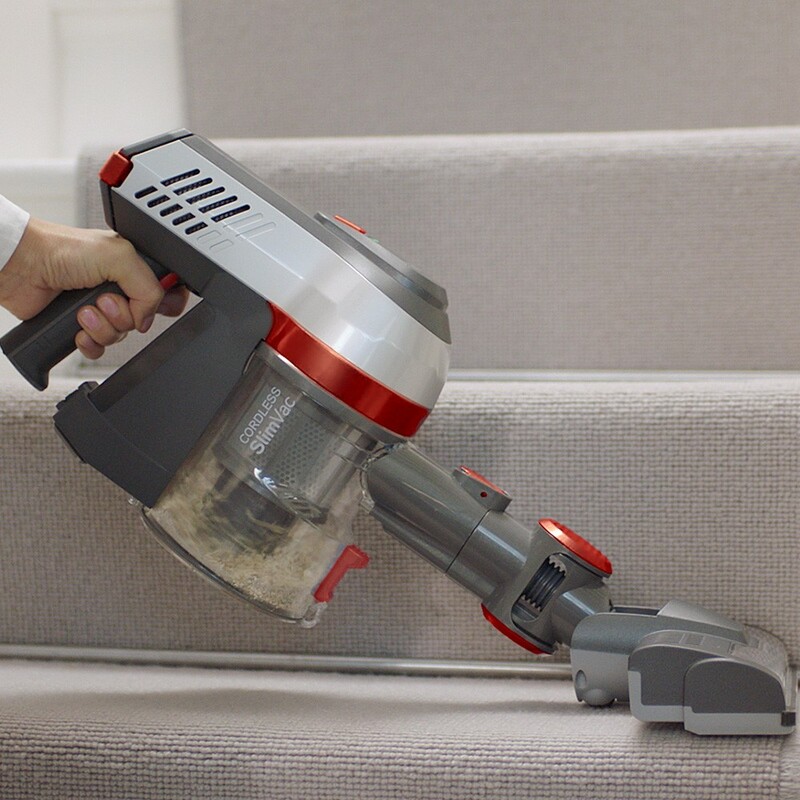 The Cordless SlimVac has been designed for perfection; making it a smooth, speedy transition switching from floor to handheld mode. The Lithium battery delivers up to 22 minutes of long lasting cleaning power. The battery also only takes 5.5 hours to charge. 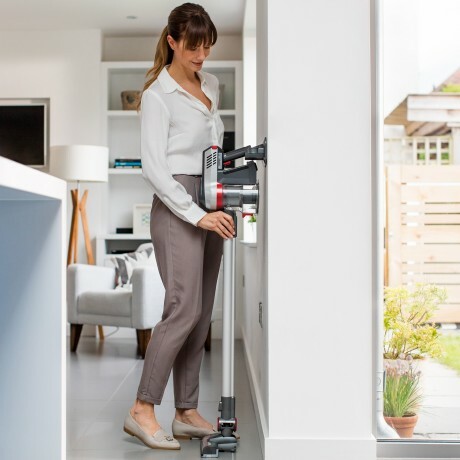 The Cordless SlimVac Vacuum Cleaner comes with a powered floorhead, great for enhancing pick-up performance on the floor but also perfect to attached directly onto the handheld for stairs, car and upholstery cleaning. At just 2kg, the Cordless SlimVac Vacuum Cleaner is lightweight when in use and easy to carry from room to room or up and down stairs, a perfect companion for quick and easy cleaning. 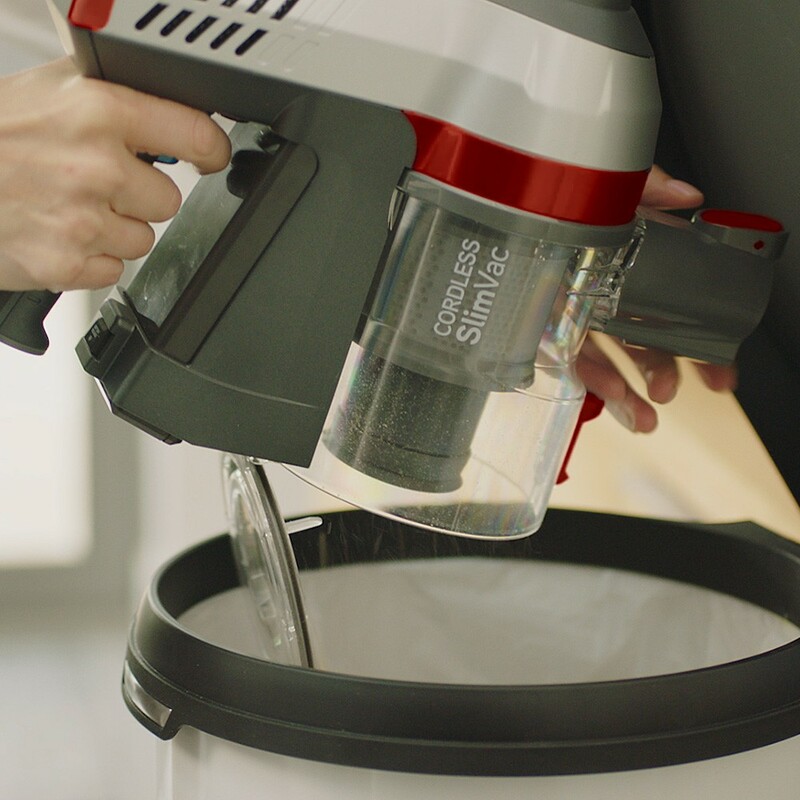 The continuous power latch is a key feature of the Cordless SlimVac Vacuum Cleaner; This will lock in the power giving you a more continuous clean without having to keep holding the trigger. 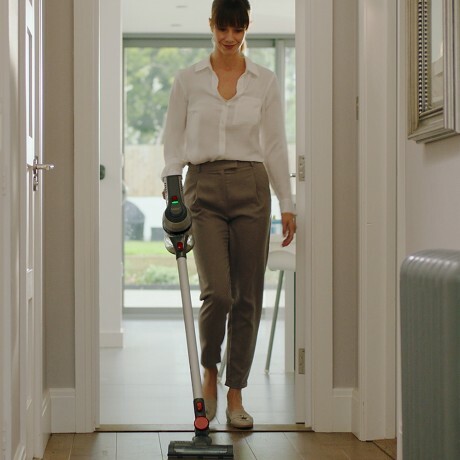 Along with being great at cleaning both carpets and hard-floors, you can also easily clean above the floor due to its ergonomic design, tackling those hard to reach areas with the use of the advanced cleaning reach wand. Vax SlimVac Pet Cordless Handstick Vacuum Cleaner is rated 3.1 out of 5 by 12. 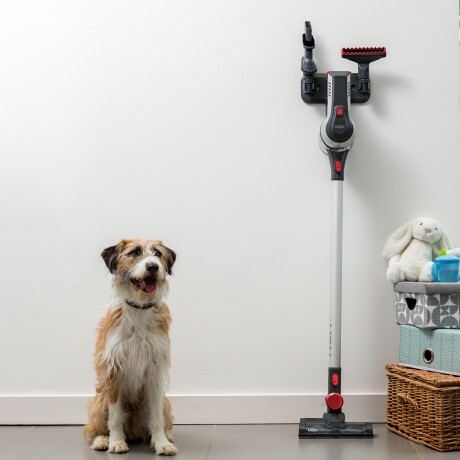 Rated 1 out of 5 by MJTa from Not sure why it's called a Pet vac! Bought this on sale and it looked to be a good deal, especially as it claimed to be specific for pet hair. As it was on sale I was happy to overlook the flimsy clip on the collection drum and the fact that the whole tube wobbles. However, this product is useless for pet hair. The hair clogs in the tube as it cannot get past the rubber non return valve. This forces you to remove the tube and poke a stick down it to release the hair. I'm extremely disappointed with this product and will return it. Rated 5 out of 5 by paulmodie from one of the best stick vac in market Bought this off the Target when they mistakenly print the wrong price in catalouge. Got the bargain. One charge is enough to vaccum two bed room unit, I used to vac once a month with the barrel vac, Now I do it twice a week and no hassle of cords, changing the filter etc. It is very lightweight, powerful suction, easy to manoeuvre, turbo brush, easy to clean and no problem so far. The best vac under 200$ in the market and probably does the same job as those expensive ones!!!! Rated 4 out of 5 by blob from Love it but... i gave it 4/5 stars because of how fragile the metal tube is and easily scratched or dented. Rated 2 out of 5 by SHIRLS from Ex-Vax fan I was the biggest Vax fan ever, never being without one. 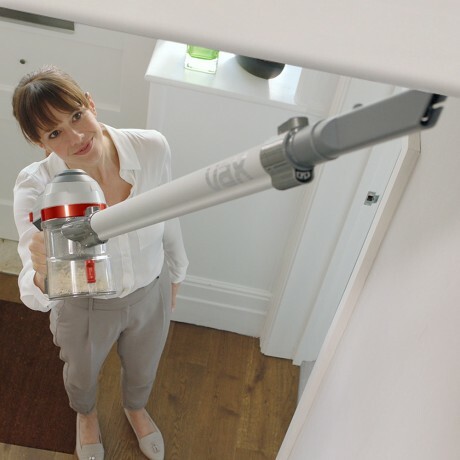 After the drama with this product I will never buy another Vax stick model again. It’s spent more time being repaired than in use. The battery went down had to be replaced, the head constantly won’t spin if any hair, lint, fluff gets caught. The filters and brush head constantly need cleaning. The black slip rubber on the head base has deteriorated. Customer service is always the same while it’s under warranty, just take it to be repaired. After the warranty expires when it won’t work again I will bin it. 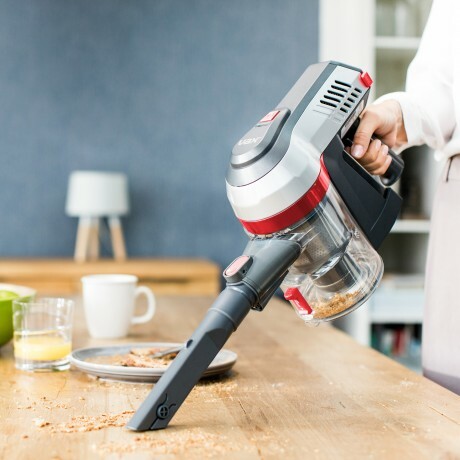 Rated 4 out of 5 by Betsyq from Great stick vacuum Could not afford a Dyson stick, next best thing, great suction 22 min usuage, easy usuage, great for home and caravan. Rated 1 out of 5 by kiwisam from Absolutely terrible product. Works OK for about 4 weeks and then lose most of its suction A shame that a company like Vax would make such a terrible product. It worked OK for 4 weeks and now lost most of it's suction. Cleaned the filter but hardly made any difference. Purchase in Late March so less than 3 months old. Might have to throw this one in the recycle and get a decent vacuum cleaner. Hopefully Target can help resolve. Stay away from this vacuum cleaner. Have one HOWEVER, I find that the rubber o-ring that is under the separator is quite flimsy and is easily dislodged when replacing the separator, this then falls down towards the bottom thereby reducing suction. Where can I get a replacement.